Eye-Fi has announced a new feature of their new Eye-Fi Wi-Fi SD cards in the form of Eye-Fi Direct Mode, which lets cameras automatically upload their photos to a smartphone. Previous versions of EyeFi have used WiFi, enabling a camera with an Eye-Fi card installed in its SD card slot to upload its photos via WiFi. Although extremely useful, it did require the camera to be in range of a WiFi hotspot. 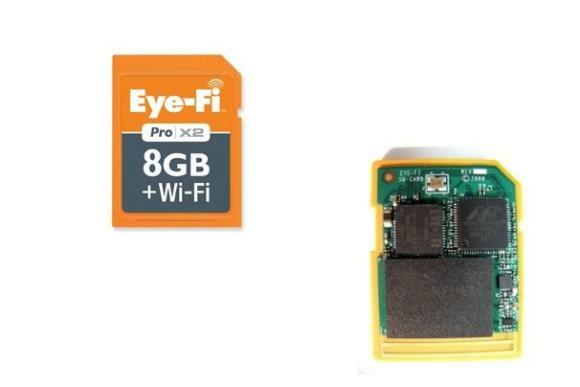 With the new Eye-Fi Direct, the Eye-Fi card makes a smartphone think that the EyeFi is a WiFi hotspot and so the smartphone can connect to the card. Once the connection has been made, the camera can upload its photos via the smartphone’s mobile connection. In case you think this will be a slow process for some of your larger RAW files, don’t worry – the latest 4G networks that are now live across the US wil transfer data at up to 42Mbps! You might want to go for the unlimited data plan first, though!